To get to our answers, we must formulate and work through the questions ourselves. A recent study found the average four-year-old British girl asks her mother 390 questions a day. Boys that age aren’t far behind. But the older we get, the more we are taught not to ask questions but to just do what we are told. 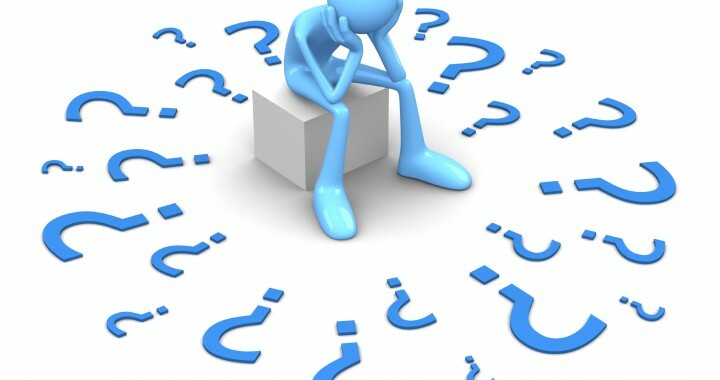 In business, questioning is seen as inefficient by many business leaders so anxious to act that they often feel they don’t have time to question just what it is they’re doing. Also, those not in leadership roles often perceive (many times correctly) that questioning can be hazardous to one’s career. Raising a hand in the conference room and ask “Why?” is to risk being seen as uninformed, or possibly insubordinate, or maybe both. Questions in life and business are critical to growth and mastery. Questions reveal our lack of knowledge and skill and provide a roadmap to meeting and accomplishing our goals and desires. 1. Competency – Questions reveal how much or how little we know, and how current our knowledge is. If you “know,” there’s no reason to ask; yet if you don’t ask, then you are relying on “expert” knowledge that is certainly limited, may be outdated, and could be altogether wrong. 2. Progress – Questions repeated help show our progress toward something. They reveal how far we have come and how much further we have to go to accomplish our goals and desires. 3. Power – Need to find out where the power lies in an organization? Start asking questions. Questions tend to put people on the defensive and reveals who is in power, in what that power lies and sensitive areas. In people, questions reveal areas of control, emotions that hold a level of power, and people who have control or power over someone. 4. Structures, processes, and habits. Questions asked about how and why something is done begin to expose patterns in a person’s life as well as processes, systems and structures in an organization. Many of those we may not even know exist. The neurologist John Kounios observes that the brain finds ways to “reduce our mental workload,” and one way is to accept without question (or even to just ignore) much of what is going on around us at any time. We operate on autopilot—which can help us to save mental energy, allow us to multitask, and enable us to get through the daily grind. Questions that can be acted upon, questions that can lead to tangible results and change, are important to the organization and the person. Don’t be afraid to ask them, but also be aware of their impact.